Born in Lagos, Nigeria, Olisa Adibua is a Nigerian radio personality, TV Host, Entertainment Entrepreneur and Media consultant. Many describe him as one of the most respected and in demand radio and television executive producer and presenter on the African continent. Olisa Adibua is not only one of the biggest personalities on Radio but has also been at the cutting of African electronic media and entertainment since 1988. 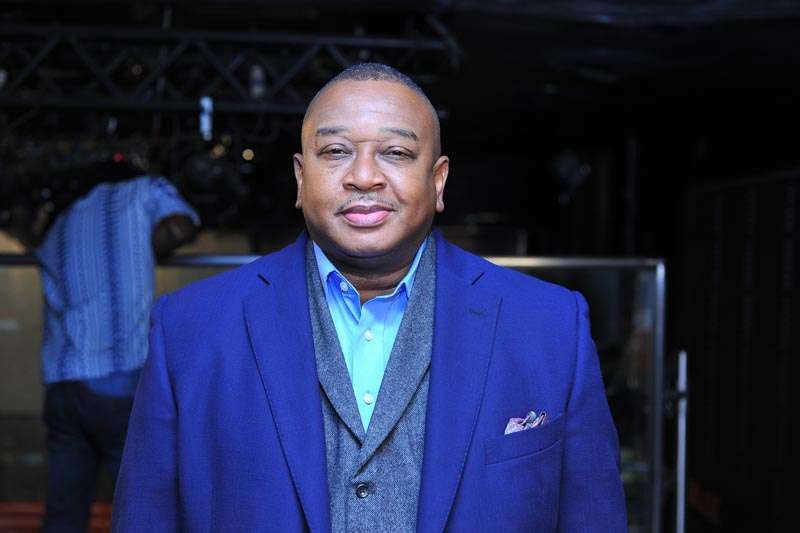 Olisa Adibua is not only one of the biggest personalities on Radio but has also been at the cutting of African electronic media and entertainment since 1988 with more than 25 years of experience in television, radio, film, and live events. He started as an independent producer, presenter and director on NTA magazine programmes such as ‘Tops of the Pops’ and ‘SuperSounds’. He was also an independent producer and director on pioneer private TV station Clapperboard Television. Olisa Adibua is a founding staff of The Beat 99.9 FM and also the founder of ‘The Truth With Olisa’. He is also the co-founder of Storm Records and has also played a vital role in media campaigns like Big Brother Africa, Apprentice Africa, Coca-Cola Soul with Sprite, Guinness Nigeria, Gordon’s Spark Launch, Sean Paul Tour, BlackGold Concert Tour with Wyclef Jean, Urban Spark Night with Gordon’s Spark. Olisa Adibua was from 1998 to 2008, the host of the Drive-Time Show on @CoolFMNigeria before the launch of @THEBEAT999FM where he is the current host of the Morning Rush Show and also doubles as the Programmes Director. He was from 1998 to 2008, the host of the Drive-Time Show on Cool FM before the launch of The Beat 99.9 FM where he is the current host of the Morning Rush Show and also doubles as the Programmes Director. He signed an endorsement deal with telecommunications giant, Globacom in 2013. After launching his YouTube Channel, ‘The Truth With Olisa’ in August 2014, he has interviewed prominent personalities like Genevieve Nnaji, D’banj, Wizkid, Ice Prince, Davido, PSquare, Ali-Baba, Dj Jimmy Jatt and Olamide to name a few on the show. Olisa Adibua has won many awards and recognitions nationally and internationally including the prestigious City People Music Special Recognition Award amongst several others.